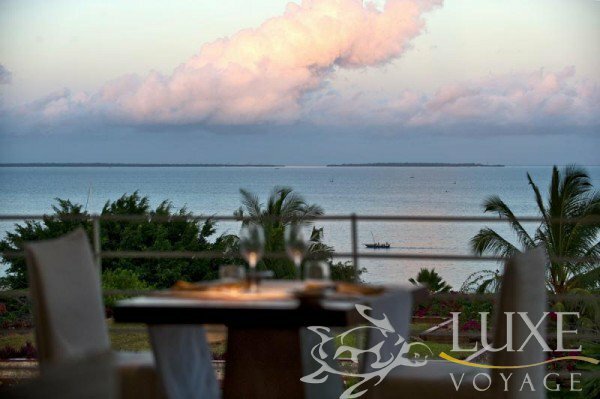 Situated in Nungwi, this luxury hotel is close to Kendwa Beach, Nungwi Beach, and Mnarani Natural Aquarium. 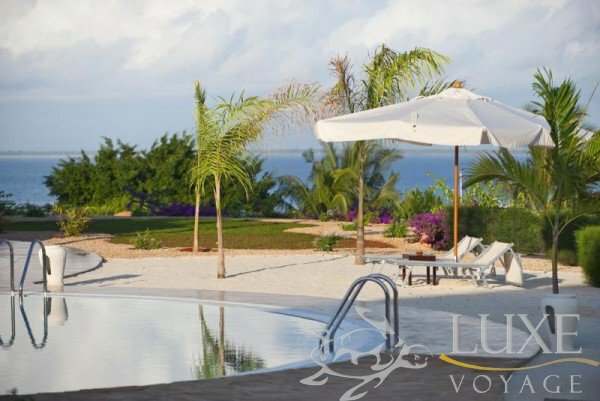 A magnificent private sanctuary of eleven exclusive villas with their own plunge pool and a tastefully furnished terrace, a covered Makuti patio and a large tropical garden to enjoy exclusive privacy and the supreme view over the Indian Ocean and the famous Zanzibar sunset. 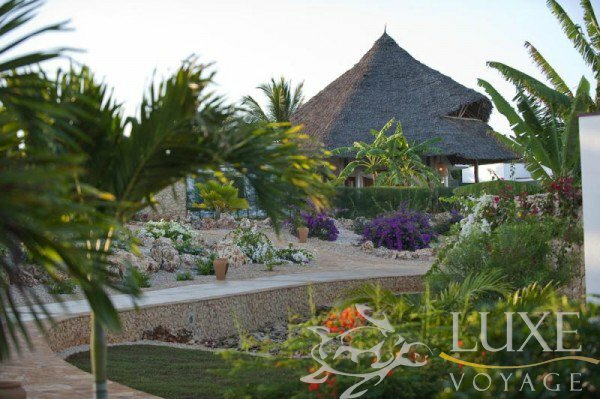 At Mvua African Rain Spa we utilize indigenous moisture - nourishing natural ingredients and other native resources such as plants, flowers, salt, grains, spices, wild honey and raw sugar. 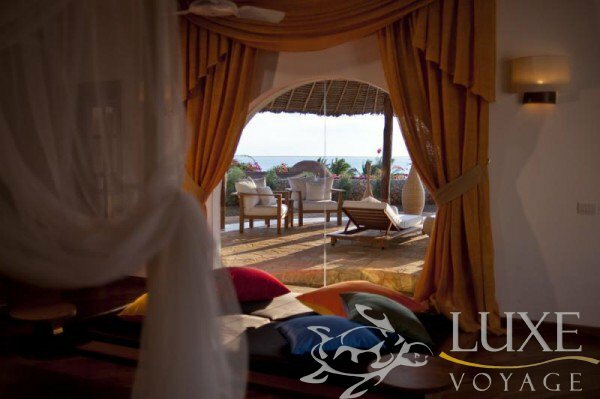 Our tempting choices of treatments are based on ancient African, Asian and European traditions designed to soothe the spirit, rejuvenate the body and enrich the mind. 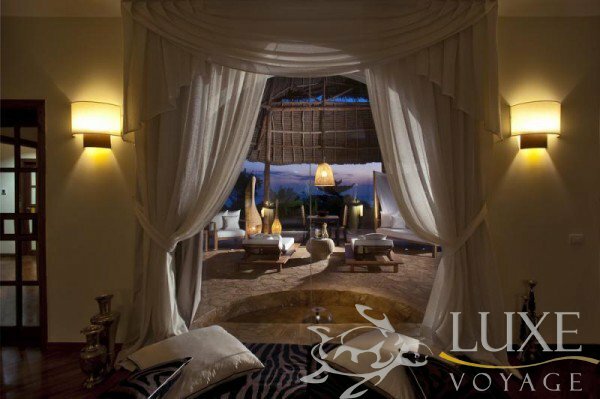 After experiencing the attentive service and warm ambience, you will not want your visit to Mvua African Rain Spa end and you will return again and again. 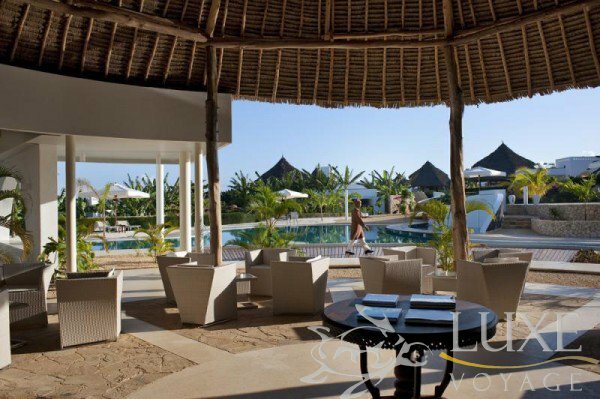 Guests can use at no extra charge all recreational and entertainment facilities at Diamonds La Gemma dell' Est. 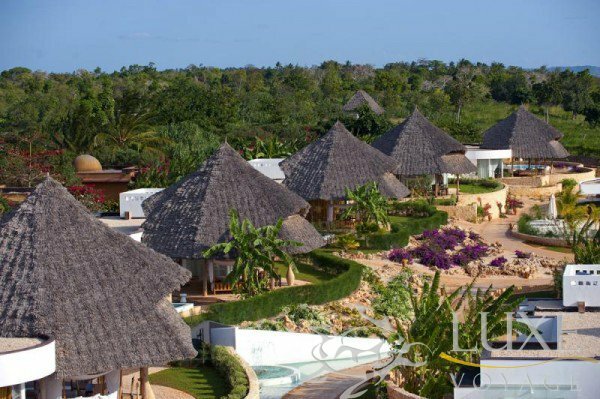 The villas are named after eleven of the most precious gems in the world to match the modern and contemporary African style architecture. 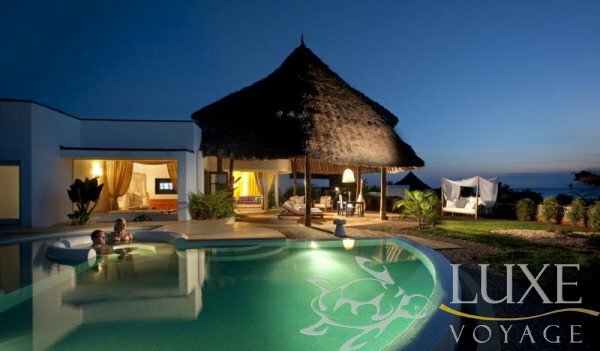 Personal butler service, a private beach and unmatched all-inclusive services accommodate the most discerning traveller with ultimate comfort, privacy and luxury. 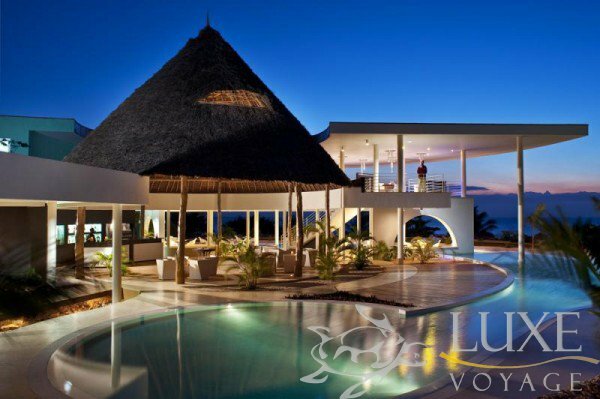 Villas are designed in modern contemporary and African style and built to give our discerning guest the ultimate on space and luxurious privacy. 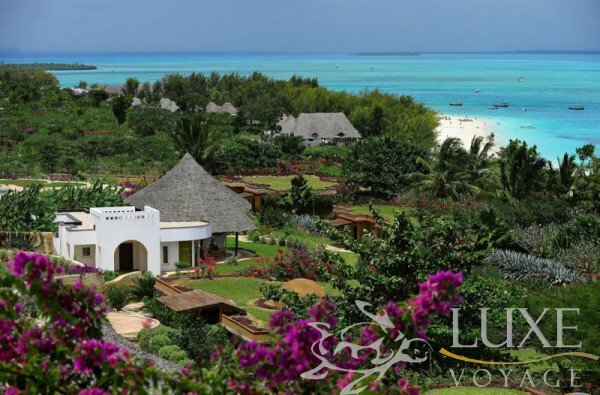 Each villas comes with a private plunge pool and Jacuzzi, an extra large and fully furnished terrace with a covered and open area and a large tropical private garden to enjoy the un-matched views over the sea and the famous Zanzibar sunset. 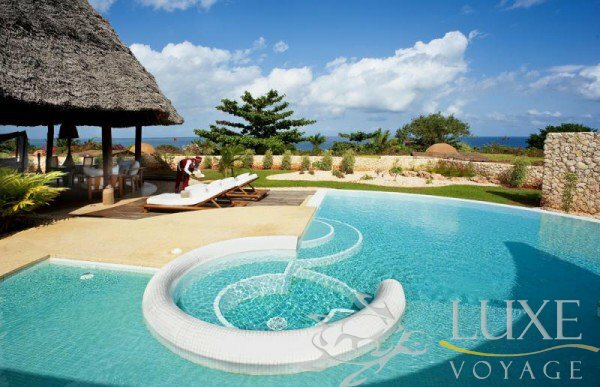 There are 7 one bedroom villas and 2 one bedroom villas with additional in-room Jacuzzi designed in modern contemporary and African style and built to give our discerning guest the ultimate on space and luxurious privacy. Facilities in the room include King size bed, choice of cushions and duvet, individually controlled air-conditioning, flat screen TV with satellite international channels, entertainment console, laptop and business desk pad with exclusive stationary, Wi- Fi internet access, in-room large safe box, private bar, specialty Coffee and tea making facilities, walk-in closet, spacious bathroom with indoor and outdoor walk-in shower, 2 hand basins, face mirror, hair dryer, private WC, bidet, indoor Jacuzzi as per reservation, exclusive choice of amenities, electric current 220 volts AC 50 cycles. 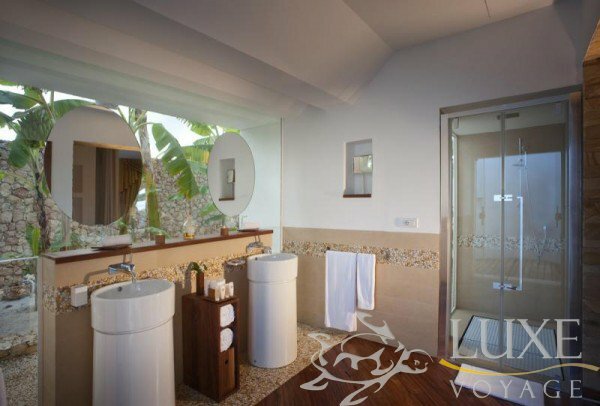 2 two bedroom villas with additional in-room Jacuzzi designed in modern contemporary and African style and built to give the discerning guest the ultimate on space and luxurious privacy. 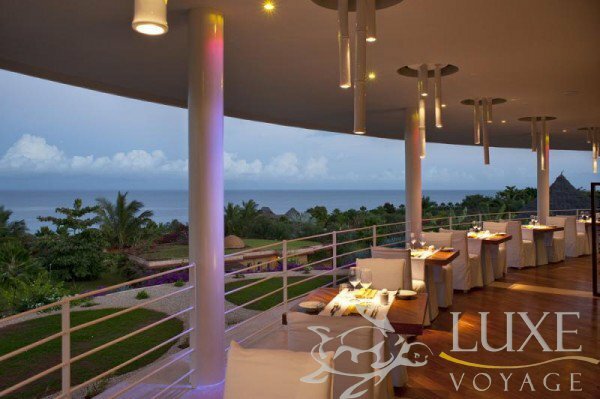 A taste for fine cuisine should be your only motivation for tearing yourself away from the beach. 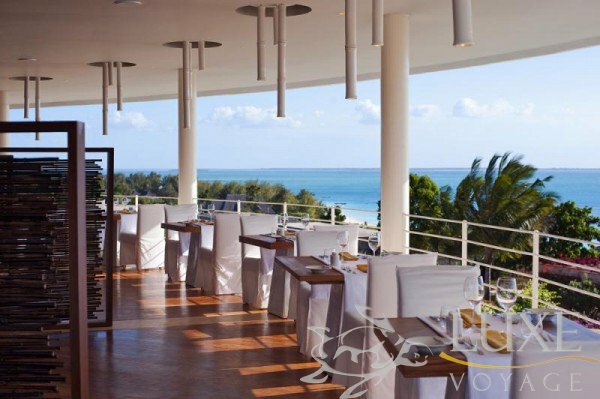 Luckily, the Ocean Bleu Restaurant offers lovely views of the magnificent gardens and truly Zanzibar beach, complemented by delectable international dishes and mouth-watering indigenous African fare. 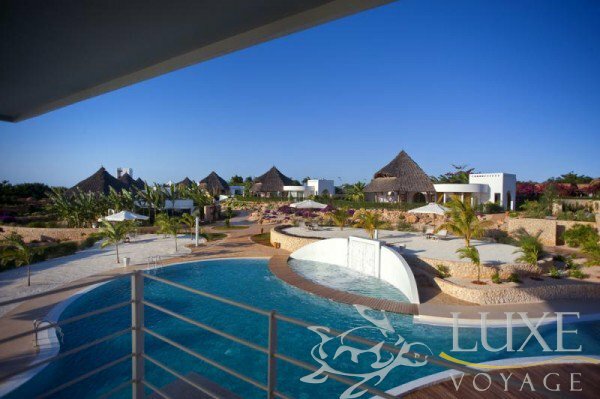 And if you treasure your privacy, Diamonds Star of the East's 24-hour butler service, with its focus on customized service, will serve sundowners and meals to you on the private terrace of your room. The Tiara Lounge bar opens from 07:30 am till 11:30 pm serves refreshing finger food, snacks and a variety of International and Local drinks and large selection of cocktails. 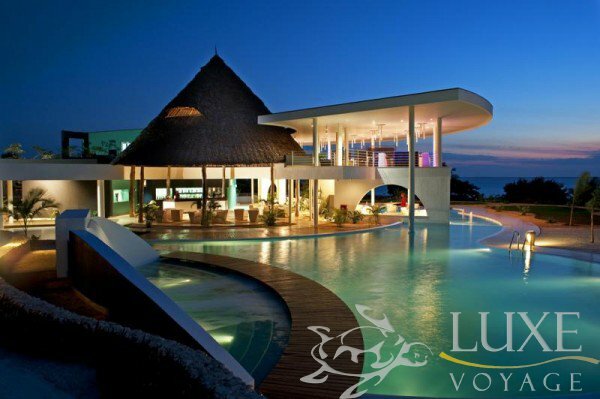 Inclusive access to all Diamonds La Gemma dell’Est facilities and Food & Beverage Outlets at no extra charge.